Unfortunately, several professional athletes--famous NFL players, baseball stars, and boxers--have been murdered. Some of these athletes were killed by people they knew, while others were killed during robberies. One famous football player was the victim of a murder-suicide. Who is the most famous athlete who has been murdered? Andrés Escobar tops our list. The soccer player died on July 2, 1994, at age 27, when he was killed by Colombian National Police. Sean Taylor died on November 27, 2007, at age 24, after being shot by intruders in his home. Lorenzen Wright died in July of 2010, at age 34, after his body was found with bullets in his skull and arm. Several athletes were killed by one of their friends or family members. Steve McNair died on July 4, 2009, at age 36, after being shot twice in the chest by his girlfriend Saleh Kazemi, who also killed herself. Greg Halman died on November 21, 2011, at age 24, after being stabbed by his brother. Henri Pélissier died on May 1, 1935, at age 46, after being shot by his girlfriend with the same gun that his wife used to commit suicide two years prior. Are you surprised that so many athletes have been murdered? Share your thoughts in the comments section. Figure skater Denis Ten was murdered at the age of 25. According to reports, on July 19, 2018, Ten got into a confrontation in Kazakhstan with a group of people attempting to steal a mirror from his car. When the argument turned violent, Ten was tragically stabbed to death. Steve McNair died on July 4, 2009, at age 36, after being shot twice in the chest by his girlfriend Saleh Kazemi, who also killed herself. Dino Bravo died on March 10, 1993, at age 44, after being shot in his home. 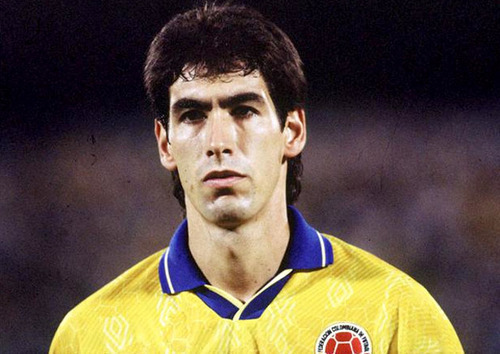 Andrés Escobar died on July 2, 1994, at age 27, when he was killed by Colombian National Police.